Melvyn Bragg discusses how humans have understood and fought disease throughout history, and examines the social consequences of diseases such as smallpox, bubonic plague, cholera, TB and AIDS. Melvyn Bragg and guests discuss man and disease. The Book of Exodus makes clear that when God wants to strike humankind, he does so with plague and disease. For millennia epidemics were understood exactly that way - as acts of divine retribution, a force of nature that could devastate empires and annihilate great swathes of population at a stroke. From the bubonic plague to measles, from cholera to smallpox, epidemics have constantly reshaped our world, leaving destruction and huge social upheaval in their wake. Before advanced science, what defences did humankind have? How much did the ancient Greeks understand of the root causes of disease - or did they simply explain it as an imbalance of the four humours that governed the body? 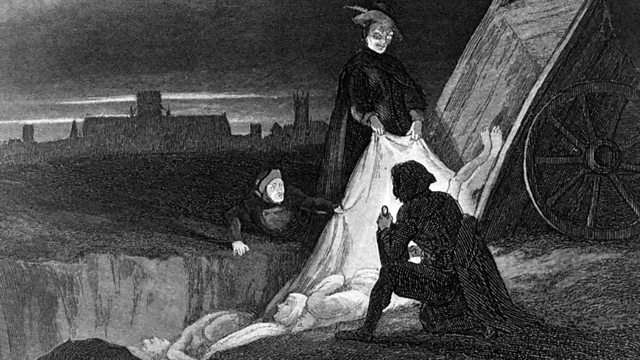 What were the social and political consequences of The Black Death of 14th century Europe which wiped out a third of the population? How did the scientific breakthroughs of the 19th century - and the discovery of germ theory - alter people's perception of disease? And is it possible to live in a disease free society? How have we understood these afflictions, how have we fought against them and is it a war we can ever win?With Dr Anne Hardy, Reader in the History of Medicine at the Wellcome Trust Centre at University College London; David Bradley, Professor of Tropical Hygiene at the London School of Hygiene and Tropical Medicine; Dr Chris Dye, epidemiologist with the World Health Organisation.